Wing King 5 – Trophy!! WHO THE CLUCK WANTS IT?????????? 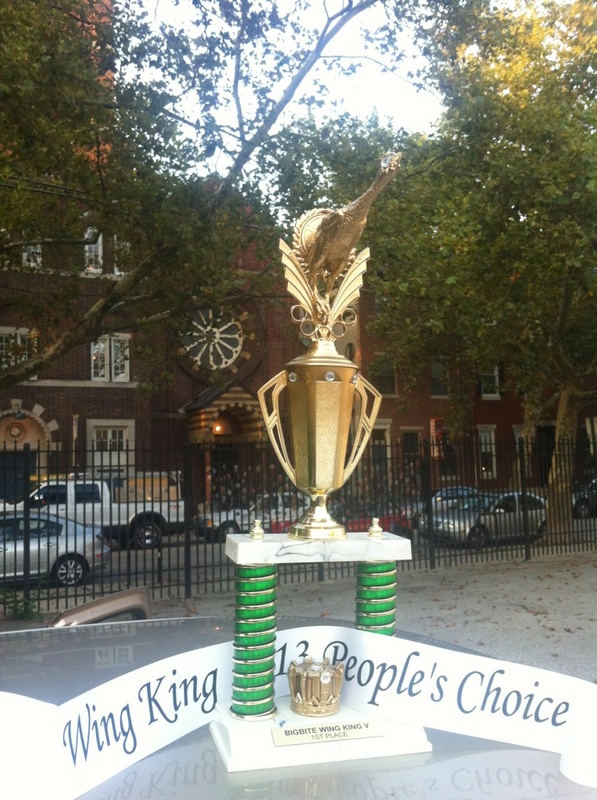 Wing King V winner(s) will be crowned the 2013 and 5th winner of Wing King; will have bragging rights for a year; and of course will be awarded this bad boy – the BigBite traditional wang-tastic trophy!! This entry was posted on Friday, August 30th, 2013 at 8:28 am	and posted in Trophies, Wing King. You can follow any responses to this entry through the RSS 2.0 feed. « Wing King 5 to Support Fleisher’s Program for Children and Youth!